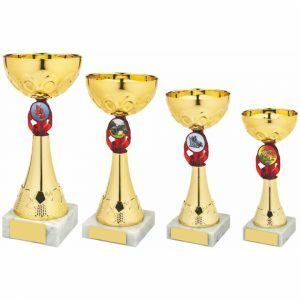 Choose from over 90 trophy cups available from Challenge Trophies Online today. Buy them without personalisation or add the appropriate details when prompted. 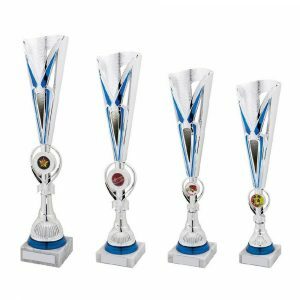 Our ordering service couldn’t be simpler to use. 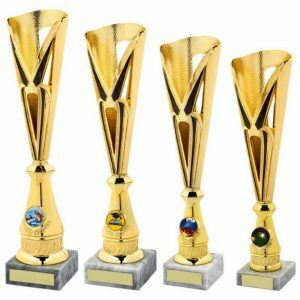 Many of these trophy cups are available in more than one size. 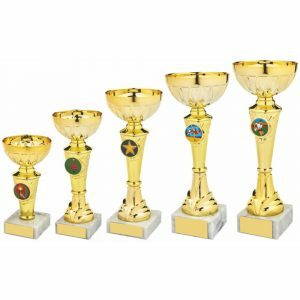 This enables you to buy the right cup for your budget and for your award ceremony. 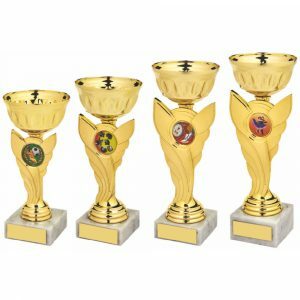 We stock an impressive range of sporting cup awards in all colours, including silver, gold, red, orange and green. 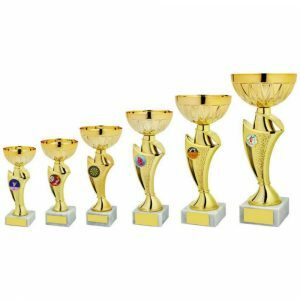 Many options come with a free centre image to be included if required. 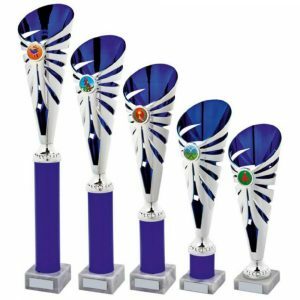 Special awards, 1st place prizes and study awards can all be chosen to personalise your trophy cup option. 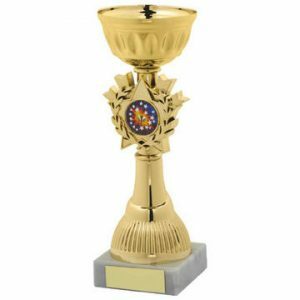 The cups also have a base plate on which your chosen wording can be added if required. A small extra charge is made for this service. 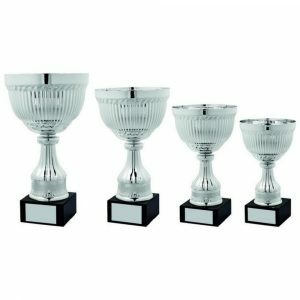 Simply select the size and number of cups you need and then add engraving for each cup individually. 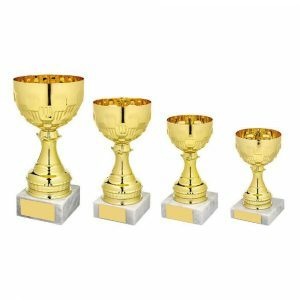 Challenge Trophies Online has worked hard to make the process of ordering your reward cups online as easy as possible. 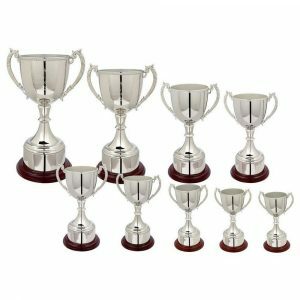 We can work with single orders just as easily as with multiple ones where a variety of engraving is required. Clear instructions are provided at every stage. 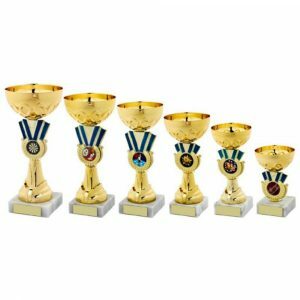 Zoom in on each cup design as you browse our website and access different trophy award pages. 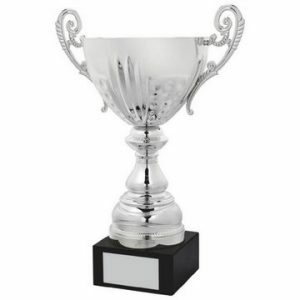 We provide a fast service too. Most orders are delivered within three working days. Even if timing is crucial we can handle a large order in a small time frame. Order online, call our hotline or send an email if you wish. 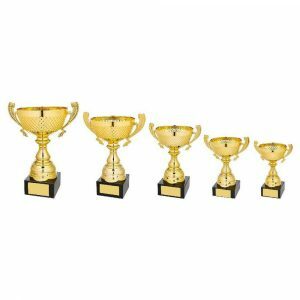 Celebrate events from small ones to large. 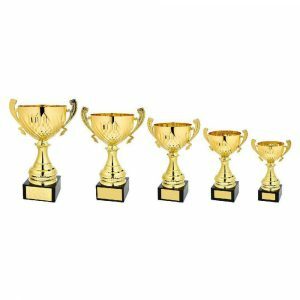 Celebrate single achievements or give out a variety of awards at a single event. 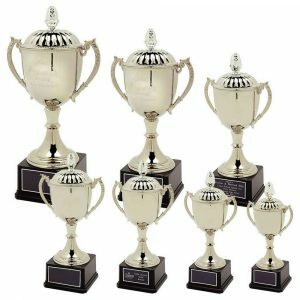 Whatever you have in mind you can enjoy ordering quickly and easily with Challenge Trophies Online 24 hours a day, 7 days a week.